Have you ever wanted to escape the day-to-day routine of your mundane life? Do you wish you had some escape portal that would take you somewhere in the country and far, far, far away from the city when the going got tough? Well after reading Shangri-La Trailer Park I think my questions were answered and my positivity was confirmed. Obviously I would prefer an existence of mobile living to not be my primary residence, god willing, but for mere entertainment a few long weekends a year I think would increase my cultural awareness. 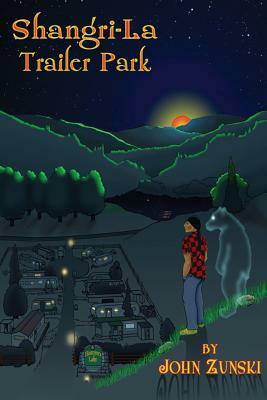 The story begins while a Native American man named Maistoinna is on a spiritual quest through the Appalachian Mountain range. Due to the loss of his nephew he seems to have lost touch with his inner spiritual animal, The Bear. He goes on this spiritual voyage through the rough terrain in hopes of regaining this mythical connection. What he encounters is a whole host of problems, and I am not talking pesky mosquitoes. I really enjoyed the daily exploits of the residents and the at-times harrowing, other times sentimental thoughts described with great detail in this book. Dog Shear Dora was easily my favorite character, her superior intelligence among her peers, one-sided verbal witticisms with Maistoinna, and her don’t give a spit attitude made her oddly an endearing character for me. For a little taste of what I am talking about, she told Maistoinna to take a few Tylenol to help numb the trauma of his shirt, and was also quick to identify the literary perversion known as the vaunted quadruple negative that Native American Maistoinna frequently utilized. I also found Jason to be a rather empathetic character and personally his self-awareness on this subject was a very redeemable trait. He expressed on how he was a prisoner of his own depth, and that empathy is the curse of the new-age man. Given today’s world, and the copious amounts of problems afflicting people today, Jason would be extremely busy given his affiliation to the throng of white knights. An eclectic group of characters at the park. I have read my share of disturbing material and I love me some dark comedies, but something about Ace irked me beyond every sense of the word.With Ace it is not just obvious reasons that made me hate him, it was the pleasure he felt and the enjoyment he had with his wanton disregard for human life and common decency. I sometimes will put a celebrity face to a character when I am reading just to make the experience more ethereal for me. 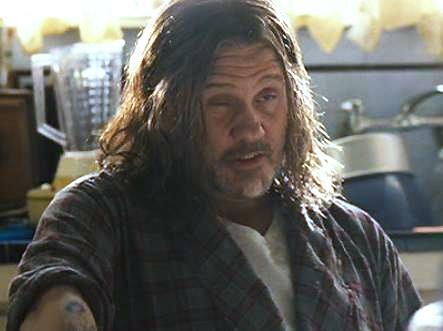 In the case of Ace, I could not shake the feeling that William Forsythe would make for a great representation. His portrayal in Devil’s Rejects, the light-hearted Career Opportunities, but must importantly that of Ronnie White in Rob Zombie’s Halloween. Within these movies he exhibited a well-orchestrated display of malicious behavior. Not to mention Mr.Forsythe is straight grimey in these movies which would be a perfect reflection of the notoriously hygenically-deficient Ace Evansew.